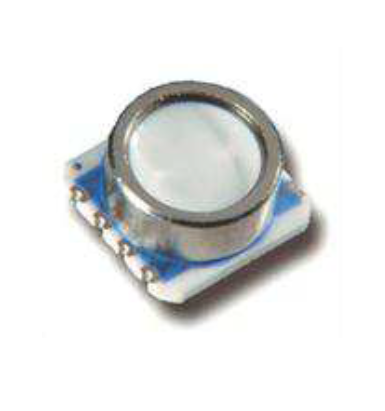 The MS5540C is a SMD-hybrid device including a precision piezoresistive pressure sensor and an ADC Interface IC. It is a miniature version of the MS5534C barometer/altimeter module and provides a 16-bit data word from a pressure and temperature dependent voltage. MS5540C is a low power, low voltage device with automatic power down (ON/OFF) switching. A 3-wire interface is used for all communications with a microcontroller. Compared to MS5534A the pressure range (measurement down to 10 mbar) has been improved. The MS5540C is fully software compatible to the MS5534C and previous versions of MS5540. In addition, the MS5540C is from its outer dimensions compatible to the MS54XX series of pressure sensors. Compared to the previous version, the ESD sensitivity level has been improved to 4kV on all pins. The gel protection of the sensor provides a water protection sufficient for 100 m waterproof watches without any additional protection. Make Enquiry For Product "MS5540C Series Pressure Transducer"